Nokia N8 Blog: Nokia Big Screen: Can we connect PS3 Controller? Nokia Big Screen: Can we connect PS3 Controller? The release of the application Nokia Big Screen was historical for Nokia N8. Also, there is a latest update released on 14th Jan 2011. It not only provided a good platform to Nokia for further reassuring Nokia N8 as a media player but also its integration with the Wii Controller supported its famous tag "It's amazing technology. What will you do with it?". 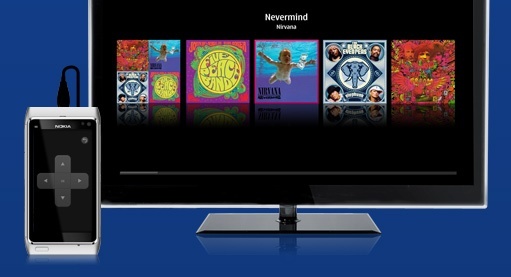 Nokia Big Screen allows users to remotely browse through the phone content over their TV screens using a compatible controller which includes Wii Controller (tested to work) and other Bluetooth controllers. This topic has become pretty old and by now almost everyone knows about it. However, I was on a quest to use my PS3 Controller with my Nokia N8. After having tried for days, I thought of throwing the question to the blog readers and see if anyone can help me on this. 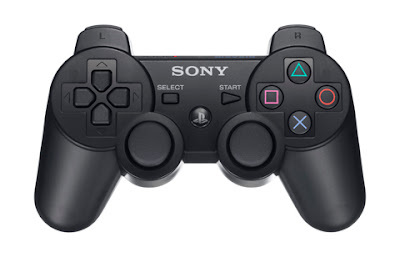 With the introduction of the Game Move controller with PS3, I assume there is a big audience with PS3 waiting for a solution to couple their controllers with phone. After having pursued this topic for a long time, what I have gathered is that to connect the PS3 controller you need to connect it to the phone using the USB cable. After that you need to have a HID driver in Nokia N8 so that the phone identifies the controller and couples with it. Once you have coupled them, you should then try to couple via Bluetooth and you should be successful in using the PS3 Dual Shock Controller. However, to our disappointment, there are no drivers in Nokia N8 for PS3 thus coupling them is still a distant future unless there a patch or a driver update from Nokia for this or if a modder comes up with such a patch. I know that PS3 controllers are being used successfully with Nokia N900 and using them with Nokia N8 is not impossible but there is a difference the OS platforms (N8 being Symbian^3 and N900 being Maemo). Thus, if you are reading this article and have an idea or a solution to this, please enlighten the rest of the blog readers by providing your insightful comments below this article.